URAKAWA JENKINS ARCHITECTURE creates quality spaces for people. The core focus of the team is translating the client brief into enduring architecture. We lead a collaborative design process, strategically ordering competing factors to arrive at a creative, practical solution with financial and environmental value thoroughly considered. Our ambition is for this place to thrive, not simply sustain. Martin has 20 years experience in the practice of architecture and design. Over that time he has worked in Japan and Australia developing his competency in the design and construction of buildings. He has worked in various roles including as project architect, designer, and onsite clerk. Through this diversity, Martin has expertise in the technical and construction requirements of procuring a building, as well as the creative and problem solving abilities. The buildings have included those in an urban setting such as business parks, pharmaceutical and office buildings, an auditorium and theatre, and temporary exhibition structures. The residential experience has included apartment buildings, inner city and regional homes. Since starting URAKAWA JENKINS ARCHITECTURE in 2008 he has found innovative and creative solutions to many complex projects. Martin is a creative thinker and enquiring problem solver. Zoe’s background in architecture includes seniors living, industrial warehousing, commercial offices, hospitality, retail, apartments and exclusive bespoke residences. Over 20 years she has progressed through many roles at several foremost Australian architecture offices, leading multi disciplinary teams of designers and engineers for both public and corporate clients. She enjoys working across a range of projects from industrial temperature controlled storage facilities to small unique buildings. Zoe’s skill is to navigate through complex multi stakeholder environments to arrive at elegant practical solutions, using a design focused strategic approach. Zoe engages widely with the profession and local government particularly in relation to sustainability and the environment. She advocates for design as a way to enhance the future. "I use the park regularly to walk my dog almost every evening.(...) I have been meaning to email you sometime ago to express my gratitude to you and the builder (...) on this amazing renovation. Although this was well overdue, it was worth the wait. The new design of the toilet with the opening in front is quite clever as it diminishes those antisocial behaviours (and I have seen some throughout the 15 years I have lived in this area). A big thank you to the council for this transformation. " "The Live Green House, a unique and innovative project, was commissioned by the City of Sydney. 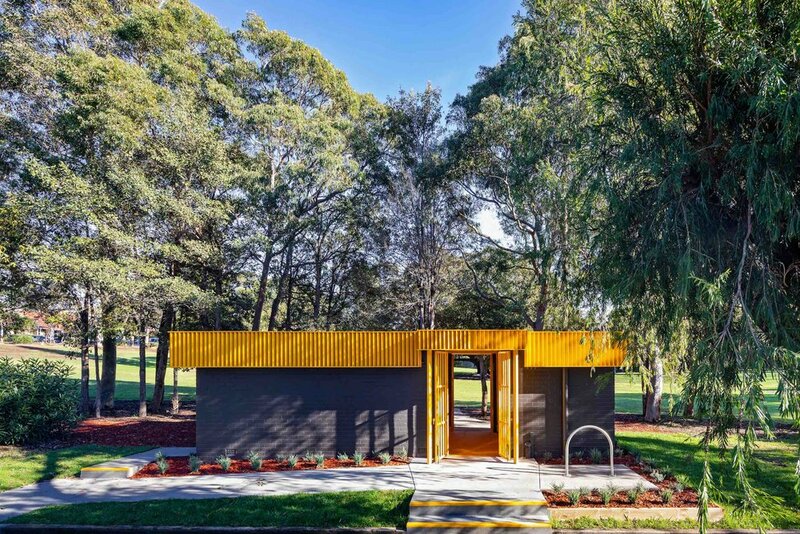 The transportable pavilion enabled the community to engage and interact with the building and speak with experts on a range of sustainability topics. UJA was instrumental in helping design and deliver this project working with multiple stakeholders within a fixed timeframe. Most importantly, UJA understood the importance of education and sustainability and worked closely with the project team to deliver the brief. The project exceeded expectations and set a new benchmark in how communities can engage with the built environment. "